Gough Square’s professional disciplinary barristers represent as range of professionals facing investigations and hearings before their regulators. The growth of new, well funded regulatory bodies and the emerging body of law in relation to the conduct of hearings has resulted in an increase in the number of hearings, some dealing with highly complex issues. There is also an increasing issue with unrepresented registrants who, for one reason or another, are not offered representation by their professional bodies. Gough Square chambers’ professional disciplinary barristers cater for all those affected before the various professional panels. 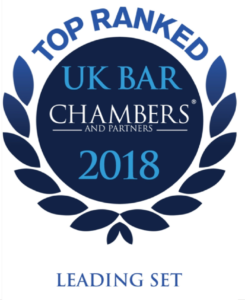 Members of chambers have recently appeared in a number of high profile SRA, Accountancy & Actuarial and MPTS disciplinary cases, before both tribunals and in the High Court. • Waiver applications before various SRA committees. Regulatory oversight of the UK accountancy and actuarial professions is conducted by the FRC (the UK’s independent regulator responsible for promoting high quality corporate governance and reporting). The FRC sets codes and standards and also oversees the regulatory activities of the professional accountancy bodies. Public Interest cases are dealt with by the FRC Conduct Committee, the successor to the Accountants and Actuarial Disciplinary Board [AADB]. Disciplinary hearings are also conducted by the various bodies such as the ICAEW, CIMA, CIPFA, ICIA, ACCA and ICAS. Gough Square chambers has a wealth of experience in dealing with technical accountancy issues that relate to PLCs and smaller practices, where technical issues often arise. Jeremy Barnett was a board member of the AADB for 4 years between 2009 – 2013. The real growth in the volume of disciplinary hearings has taken place over the past 5 years. The Medical Practitioners Tribunal Service [MPTS] (formerly known as the GMC disciplinary tribunals) is now based in Manchester and often hold 3 Interim Orders panels as well as the various fitness to practice hearings. Members of Gough Square chambers also appear and act as legal assessors at the NMC (the Nursing and Midwifery Council) which have been known to hold as many as 29 concurrent hearings at their various locations in central London, with occasional hearings around the country. Other disciplinary cases conducted by members of Gough Square chambers include representing Social Workers, Dentists, Osteopaths, Chiropractors, many of which have now been consolidated into the Health and Care Professions Council – the HPC. Members of chambers also represent the Care Quality Commission on issues relating to management failings.